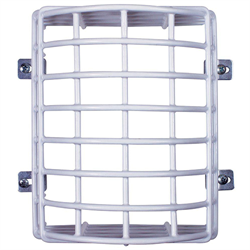 This strong and sturdy cage effectively reduces malfunctions and high maintenance costs due to vandalism or accidental damage. 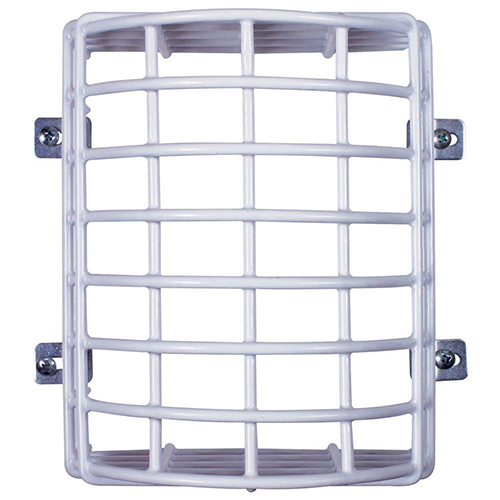 It is constructed of 9-gauge steel wire and comes with corrosion-resistant polyester coating. This damage stopper is available in five sizes and is easy to install. Two sizes are designed to fit motion detectors for corner mount units, while the other three are for wall mount applications. Dimensions: 6.25" x 4.0" x 2.25"